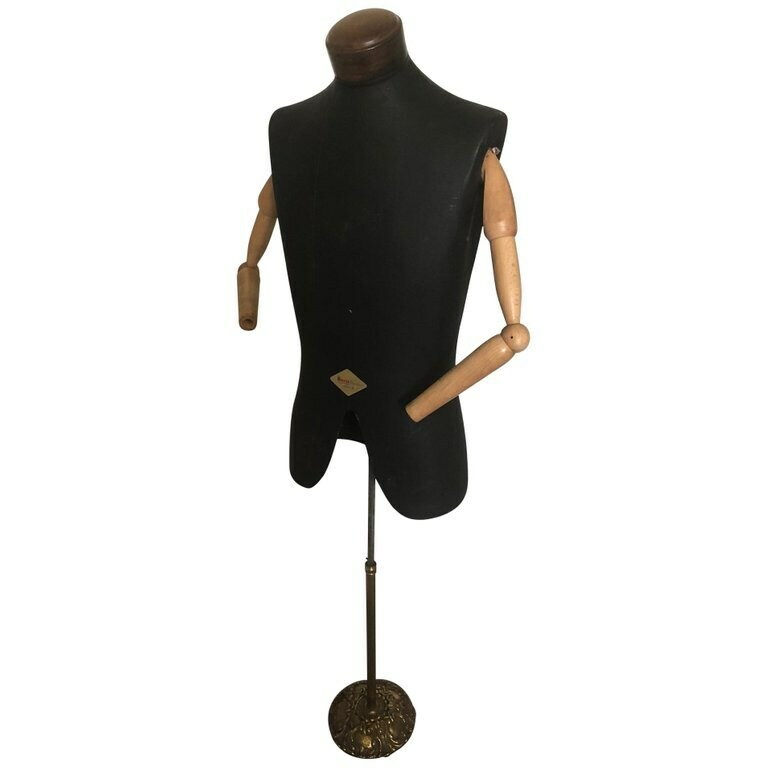 Male model, bust, mannequin, dress form with articulated arms. On original, adjustable ornate brass stand. By Moch Figuren of Koln, Germany, world's oldest mfg of mannequins. Acclaimed sculptors of the human form. This male bust has articulated arms, beautifully-appointed walnut wood neck on firmly formed body painted black. Adjusts from 48 to 60 inches high. Dramatic, sophisticated, very expressive with his movable jointed arms. Ideal for clothing store use, shows, exhibitions. Or as a prime accessory to totally cool retro interior design and legendary luxury living. Excellent vintage condition with some light scratchings in the body consummate with age and fair use. H 60 in. x W 22 in. x D 8 in.